Paris – stunning city and a perfect city for a shoot. You can take so many in such a short period of time and at so many locations! Still on an Olympic 2018 high? Could be: but personally I see the official colors of the Sampdoria soccer team! I think shirt stripes are big for spring. I like the change in size from a big pattern to small. Always a winner. In the Liberté, égalité, fraternité spirit! 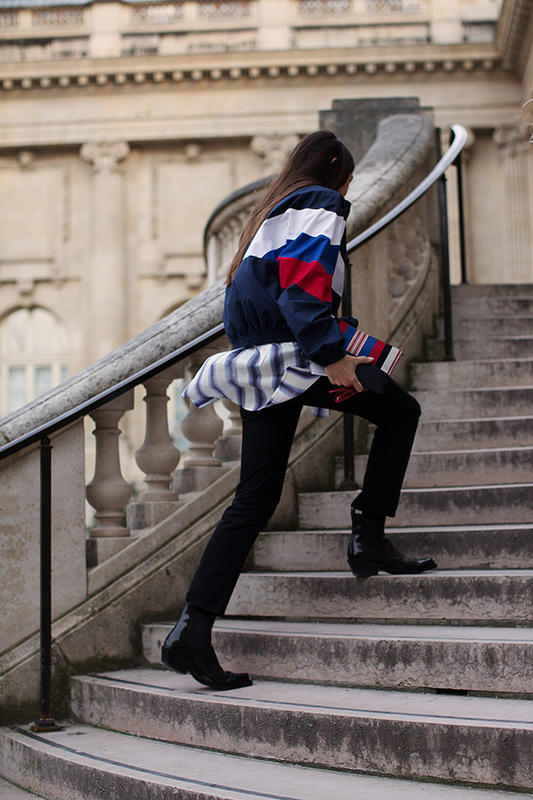 A jacket made of the Russian flag? Stripes are everywhere this season…the Gucci stripe remains the best! I have visited Paris so many time but i did not get such stairs. Overall Awesome combo, angle, movement!